As part of More Relaxed March, we’re focusing on Austria this week and we’ll be giving away vouchers for anybody booking an Austrian holiday by March 7th. Austria boasts a plentiful array of natural attractions from high alpine peaks to turquoise blue lakes and Headwater itineraries give walkers and cyclists the opportunity to explore the very best of what Austria has to offer, in a relaxed style, with comfortable hotels, inclusive of most meals and backed with Headwater’s excellent support services (bag moving service, 24hr contact details, customer support at HQ pre and post holiday plus much more). 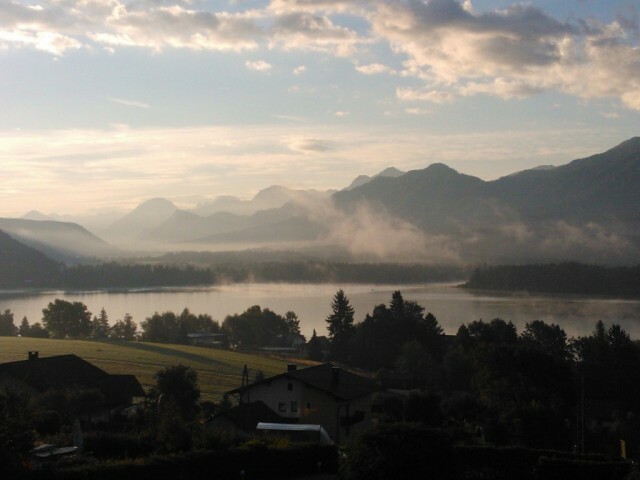 We hope you enjoy this Austrian ‘photoessay’ – can you imagine walking or cycling through the scenery shown in these pics? 1. Walking in the Leutasch Valley – with over 450km of walking trails and 4 star hotels complete with wellness facilities, this holiday represents excellent value for money. 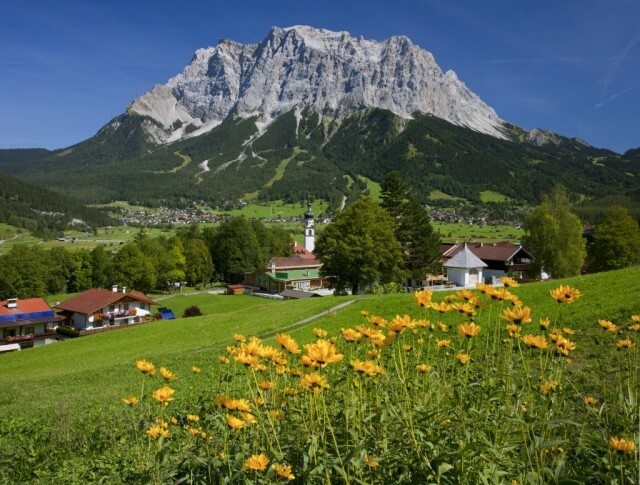 At 2,962m The Zugspitze is a dominant feature of the landscape. 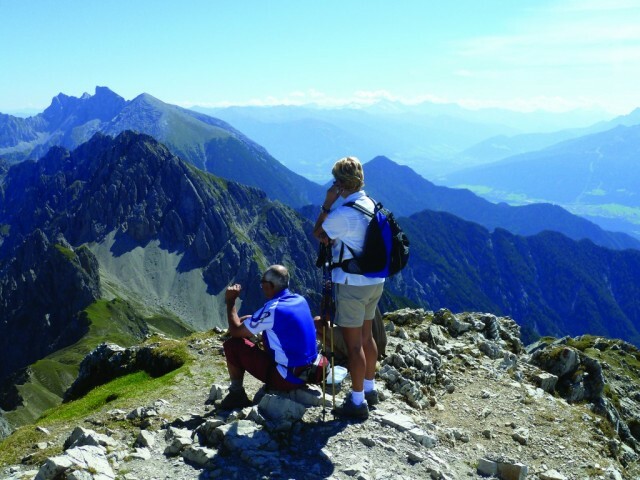 Walkers enjoying lunch with a view on a self-guided walking week in the Leutasch Valley. 3. 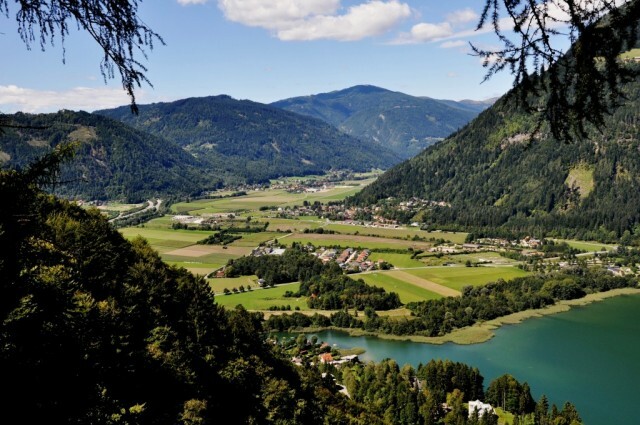 Austrian Lakes Walk – This 8-day self-guided walking holiday offers a glorious mix of spectacular scenic views, wooded forest trails, picture-perfect ‘chocolate box’ villages and swimming opportunities galore! 4. Austrian Lakes Cycling – St Gilgen is home to the Mozart museum and there’s also an option to take a cable car up the Zwolferhorn! 5. The Sound of Music Cycling – an interest packed cycling holiday with lot’s to see and do. 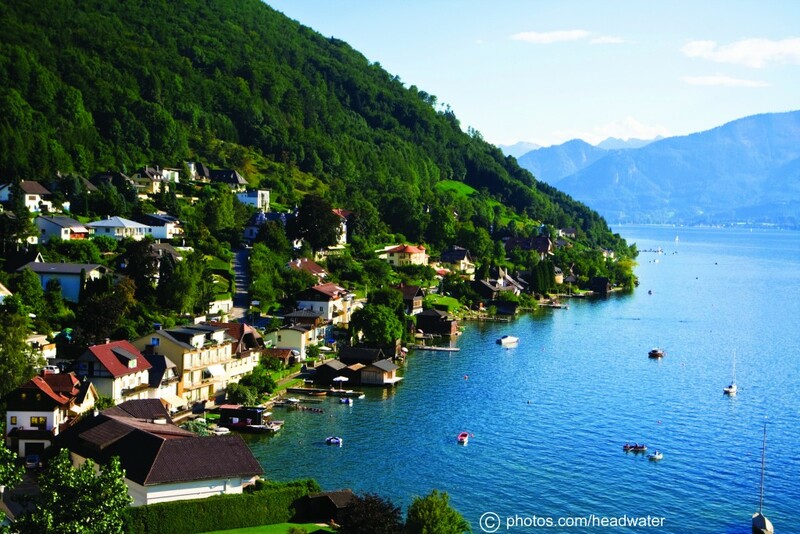 Take your evening meal on the hotel terrace, overlooking gorgeous Lake Traunsee. 7. Austrian Carinthia Lakeside Cycling – unspoilt, unheard of and unbelievably stunning – the Carinthian region of Austria is a lovely hidden gem waiting to be explored. 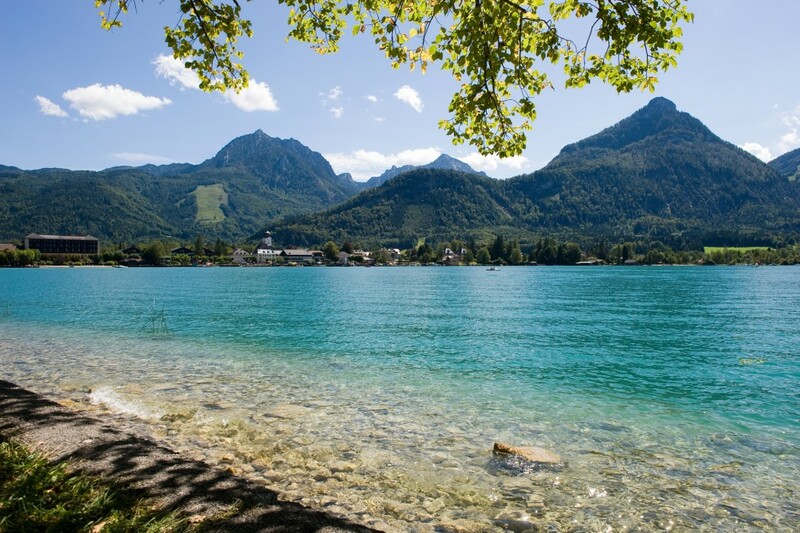 Lake Ossiach is just one of many turquoise blue, Carinthian lakes nestled between dramatic forested hillsides…. 8. 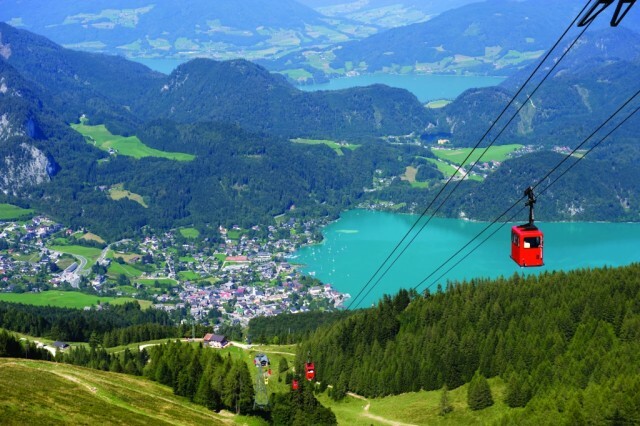 Austrian Lakes Walk – letting the cable car take the strain to the top of the Zwolferhorn. 9. 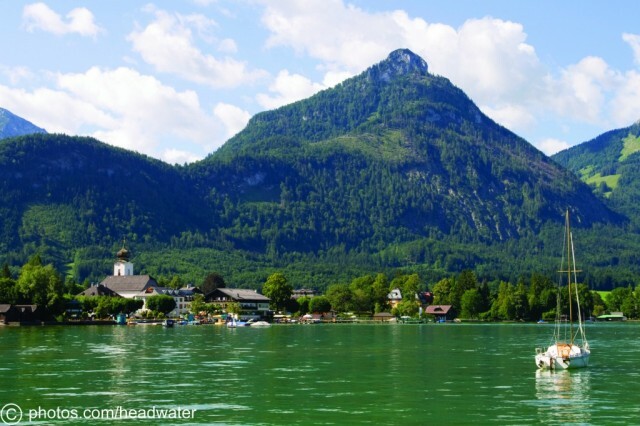 Lake Constance Cycling – Austria doesn’t just cater for lovers of the high peaks. Lake Constance, flanked by 3 countries offers pleasant, relaxed cycling and even boasts vineyards too! 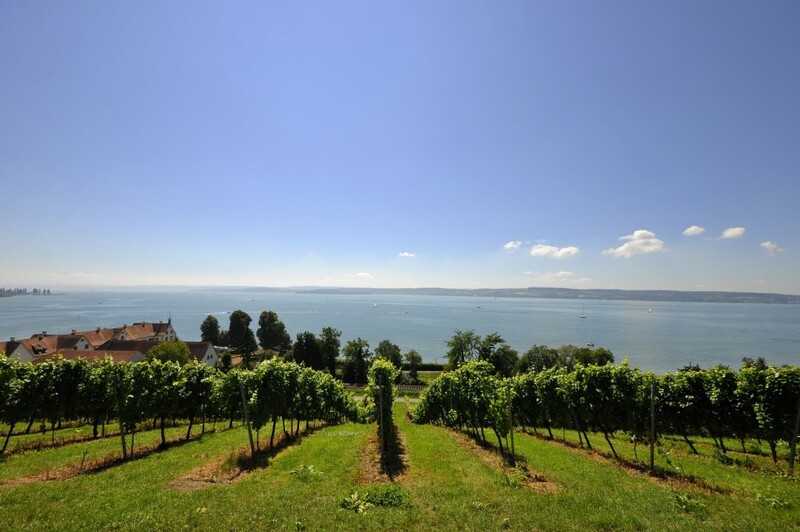 Vineyards set on hilltop overlooking Lake Constance. 10. 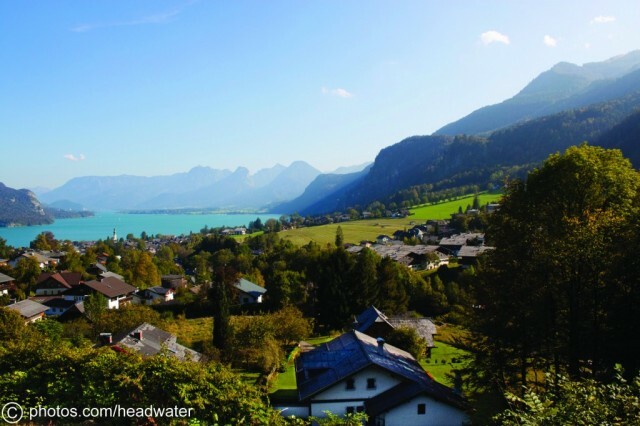 Austria’s Hidden Gem – Carinthia Walking – Our new 6 night self-guided walking holiday explores 10 miles of Lake Worthersee’s very peaceful shoreline.